One way flight from Serengeti to Arusha. Airport transfer from Kili airport to Arusha. Airport transfer from Keys hotel to JRO Airport. Visit to Olduvai Gorge on our way to Serengeti. Services of local driver-guides in private vehicles on safari. 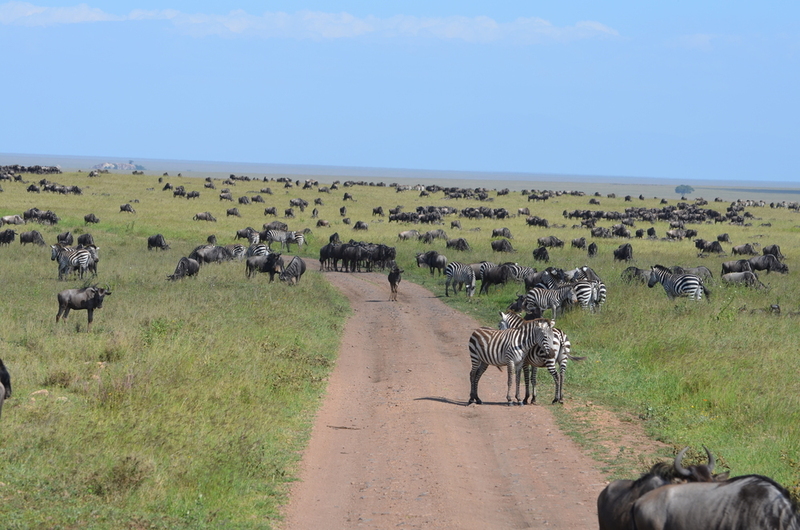 Safari game drives as shown (every KLE participant has a window seat!). Special Lunch at Stiggy's restaurant in Arusha. Kilimanjaro Marathon/Half Marathon/5K entry fee & goodie bag / finisher medal for Full and Half. We will automatically register you for the event. Bottled water on the safari vehicle (two bottles per day per person). Keys Hotel at run location - all air-conditioned rooms and bungalows at no extra charge. Pasta dinner on the two nights prior to the race, and full race briefing. Farewell Happy Hour and special BBQ Dinner.